Hi, I'm Scott and I'm one of the communications interns this summer at Save the Harbor/Save the Bay. Last Monday I had the pleasure of joining the Senior Marine Educators and a few other staffers at the YMCA Better Beaches summer kickoff event at Constitution Beach in East Boston. As soon as I walked across the beach to the Save the Harbor table I realized that, even though it was a Monday, this was an exciting and energy-filled event. Throughout the afternoon there was music playing, YMCA kids enjoying games of flag football, volleyball, and other sports I didn't even recognize, and a generally upbeat atmosphere with everyone sunbathing and taking advantage of the summery weather. I think the highlight of the day for all of us at Save the Harbor was the marine life showings that the Senior Marine Educators did for any young visitors to our table. A steady stream of kids came to pet lobsters' tails, hold moon jellyfish in their palms, and examine kelp and periwinkles. This was a great addition to what was already a great summer afternoon to start off the Better Beaches programs of the summer. Sheuli dropping some knowledge about a periwinkle. Connor showing off a lobster. On Thursday, June 23, a large group gathered in South Boston to commemorate the opening of Boston's new CSO (combined sewage overflow) control tunnel. This recently completed project was the longtime goal of many environmental activists, as it will divert harmful and toxic waste water from running into Boston Harbor. By comparison to newer sewers, which separate rainwater run-off from raw sewage requiring treatment, some older sewers combine the two. 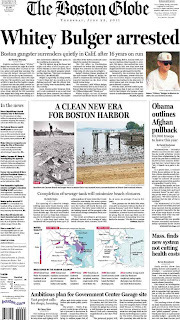 In such a case, heavy precipitation leads to sewer overflow that spills waste into Boston Harbor. Fortunately, the new tunnel will nearly eliminate the dangerous overflow. In past years, many speakers at the event noted, a day of rain such as the 23rd would have closed beaches, but not so with the new tunnel; the persistent drizzle only added to the upbeat mood of the ribbon-cutting. The first part of the ribbon-cutting included speeches by many officials regarding the opening of the tunnel, such as Mayor Tom Menino; Massachusetts Water Resources Authority head Frederick Laskey; and South Boston Representative Kathi-Anne Reinstein and Senator Jack Hart. All agreed in their rhetoric that despite the challenges the project faced, most notably local opposition to its construction, the project is a major success. Each official touched on the importance of the project to his or her respective constituency, which really elucidated how many beneficiaries of harbor cleanup exist. Everyone in attendance came away with a better understanding of the effort it took to finish the project. But the full scale of the event only became clear once attendees made the walk down-beach to the Castle Island Sailing Center. There, after a light brunch, Patricia Foley, Executive Director at Save the Harbor/Save the Bay, followed on the earlier remarks and summarized to attendees the work that the organization has done and continues to do to clean up the harbor. Following that, E. Bruce Berman, Director of Communications, Strategy, and Programs, announced the allocations of the 25th anniversary Better Beaches Project, which will give away $25,000 to support community organizations that will put on events at beaches around Boston this year. These events range from simple community get-togethers to a nationally-renowned sandcastle-building contest. 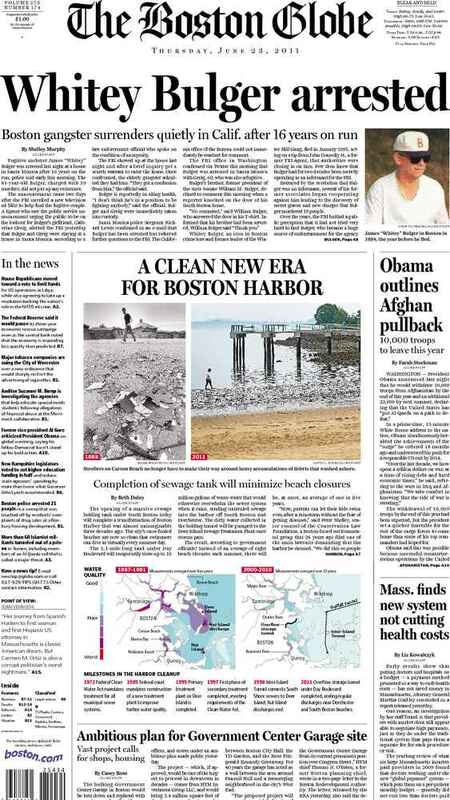 The combination of these two components of the event demonstrated, in the broader scheme, how far Boston Harbor cleanup has come - to the point where the focus is now on anticipating future issues - yet at the same time, how far it has to go. Some CSOs remain open in Boston, but for now, we should take pride in the construction of the tunnel and the effect it will have on keeping the harbor clean and making Boston's beaches "some of the cleanest in the country." 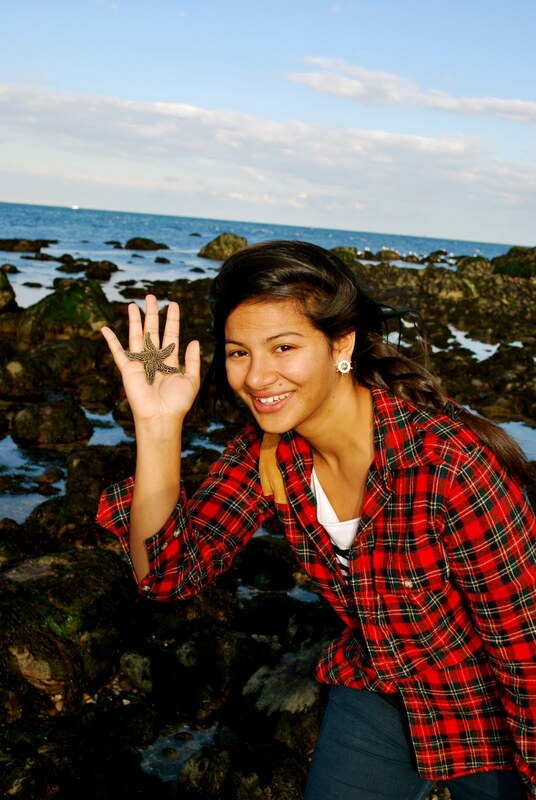 Hello, my name is Sarah Appleton and I am excited to be a Senior Marine Educator at Save the Harbor/ Save the Bay. I came to Save the Harbor because of my love of Boston, the harbor and the little known, but amazing, Boston Harbor islands. I am originally from Connecticut but, after the past 5 years roaming the streets of this wonderful city, I would consider myself a pretty good Bostonian. Although I grew up in Yankee territory, I have been a Red Sox fan since I was old enough to understand. GO SOX! 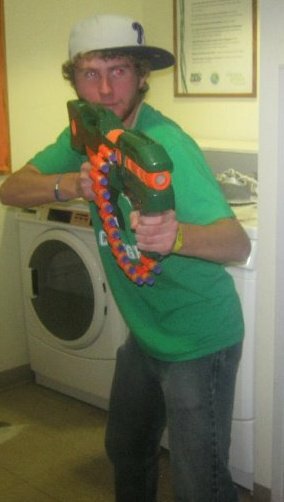 I am a recent graduate from Boston University with a degree in Mechanical Engineering. With my environmental policy minor and my sense of adventure for my new home, I have been able to learn a lot about Boston and the harbor that it shares with the sea. Aside from Stanley Cup winning hockey teams and the Green Monsta, Boston has so much to offer and I feel it is my duty as a Bostonian to show the people how truly amazing it is. The Boston harbor is a truly remarkable place that we as Bostonians should cherish and enjoy. 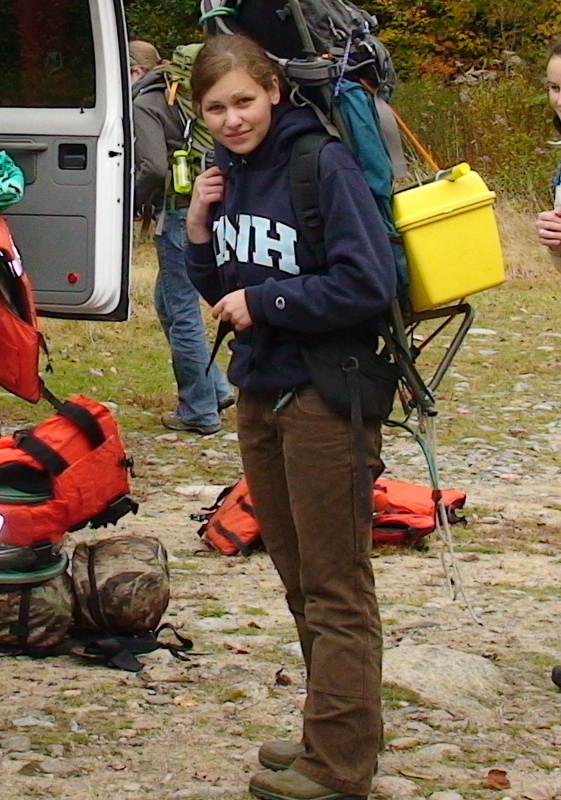 This summer I am geared up and ready to explore the exciting marine ecosystems we have to offer from North to South Shore and make this summer one of the best with my fellow harbor explorers. I can't wait to get my feet wet, literally, and see whats under the next rock or beyond the next tide! I'm getting my sunblock and bug spray ready and I can't wait to meet everyone who wants to come and help me investigate! 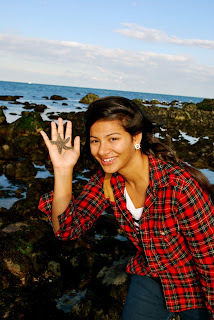 My name is Sheuli Molla, and I am a new Senior Marine Educator at Save the Harbor/ Save the Bay. This past May I graduated from Stony Brook University with a Bachelor of Science in Marine Sciences. At Stony Brook University, I studied the principals of Marine Ecology, Marine Conservation, and Ecosystem Based Management. I am excited to put my knowledge to work in Save the Harbor's youth environmental education program by reuniting Bostonian youth with nature and the marine environment! This summer, I hope to teach and learn about everything Boston Harbor has to offer. I am also excited to share my experience and background in marine sciences with our curious harbor explorers at Save the Harbor. During our program site visits this week, I was able to fully appreciate the majesty of Boston Harbor. From Pleasure Bay to Black Creek, each site is uniquely beautiful and interesting. At this week's East Boston YMCA Summer Kickoff event, I was delighted to show and tell about marine life by using our saltwater touch tank! 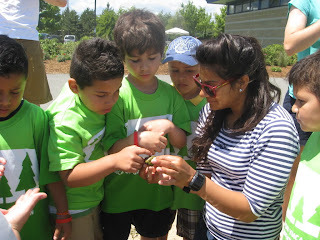 Kids from all over Boston were able to see and touch live lobsters, crabs, clams, snails and other critters. 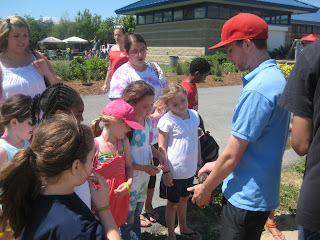 At first, most of the kids who approached the tank were scared of the lobster, and wouldn't think about touching it. However, after they saw the Marine Educators holding a lobster, and their friends touching its tail, enthusiasm and bravery became infectious. Kids from every Boston neighborhood exclaimed about how the lobster looked, felt and smelled! 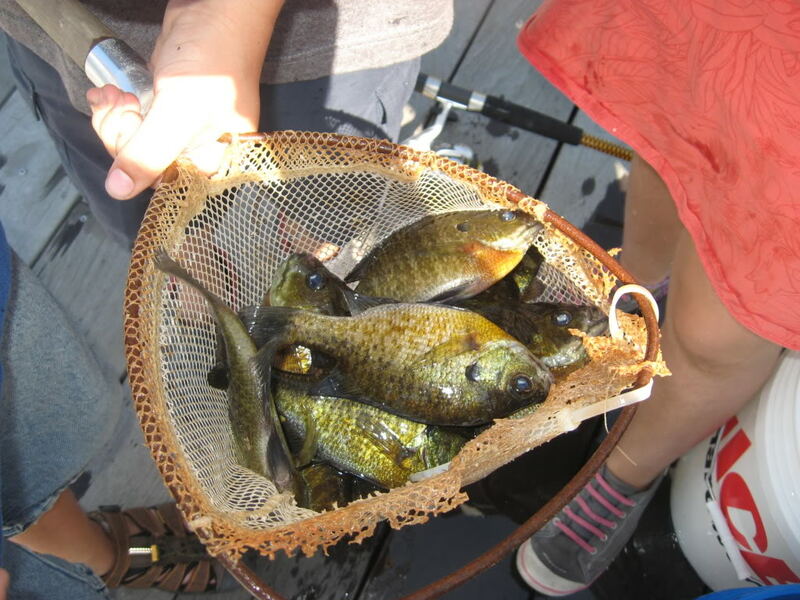 With the excitement of a young Bostonian, I too am enthusiastic about exploring, fishing, crabbing, sailing and doing other marine activities with Save the Harbor/ Save the Bay. I cannot wait to get started and get back to Boston's BEAUTIFUL beaches! 7/9/11 – 10am-12pm: Friends of Belle Isle Marsh Present: Artists on the Beach and "The Sea, The Shore, The Sky"
Funds to support this year's awards came from the 1st Annual Cupid Splash cold-water plunge and pledge fundraiser held on public beaches from Nahant to Nantasket in April, with additional support from Save the Harbor's "Better Beaches Program" funding partners at Comcast Massachusetts, the Department of Conservation & Recreation, Jet Blue Airways, Harpoon Brewery, National Grid, and the Harold Whitworth Pierce Charitable Trust. Thanks also to our 25th Anniversary partners at The Boston Foundation, The State Street Foundation, John Hancock, P&G Gillette, and Distragas of Massachusetts / GDF Suez for their generosity and support. 25 Years - $25,000 in Beaches Grants, 25 Free Island Trips and the Cleanest Urban Beaches in America! Boston, MA - June 23, 2011 – This year, the harbor advocacy group Save the Harbor / Save the Bay celebrates its 25th Anniversary as the region's leading voice for clean water and the restoration and protection of Boston Harbor the waterfront, our region's public beaches, the Boston Harbor Islands and the marine environment. As part of the celebration, this morning Save the Harbor will award $25,000 in small grants to support free events on the region's public beaches in nine waterfront neighborhoods and beachfront communities this summer, including Nahant, Lynn, Revere, Winthrop, East Boston, South Boston, Dorchester, Quincy and Hull. 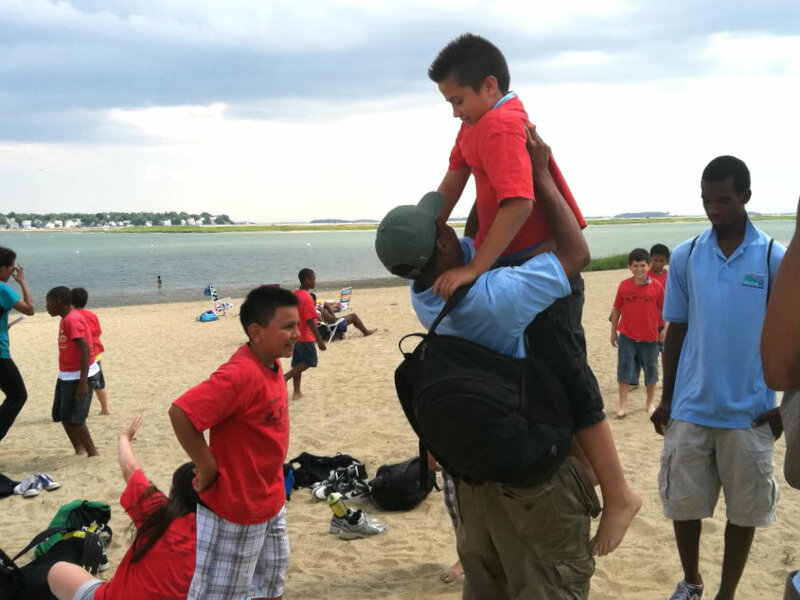 The group will also announce 25 free island trips for area youth groups this summer, which they expect will connect more than 5,000 young people from 125 organizations around the city and across the region to Boston Harbor and the Boston Harbor Islands National Park. Save the Harbor/Save the Bay will announce this year's grant recipients at the McDonough Sailing Center at Castle Island in South Boston. The presentations will immediately follow the formal opening of the South Boston CSO Tunnel that will make the beaches of South Boston and North Dorchester Bay the cleanest urban beaches in America. The group will also honor the many individuals who have helped transform Boston Harbor from an embarrassment to a source of opportunity and pride for the city and the region. 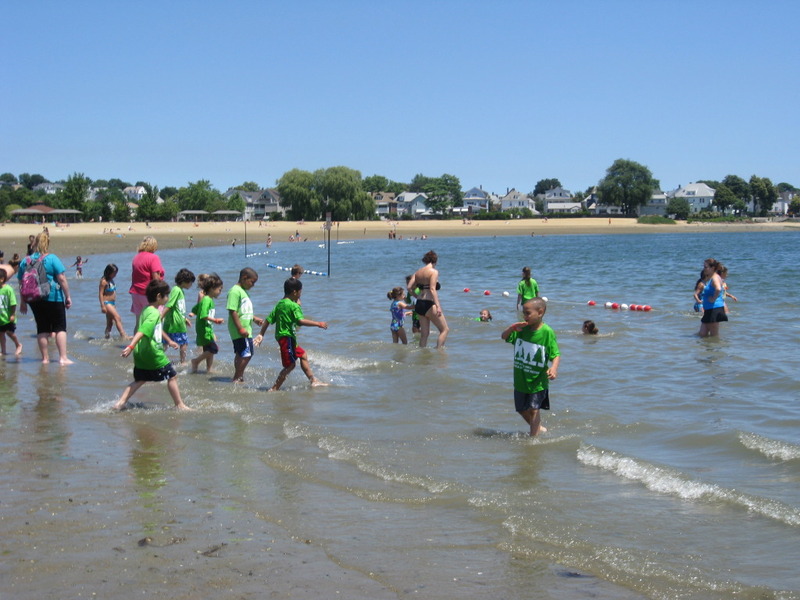 Save the Harbor's "Better Beaches" program was launched in 2008 partnership with The Boston Foundation, whose early support helped make it a success. In the past three years, local community partners in Nahant, Lynn, Revere, Winthrop, East Boston, South Boston, Dorchester, Quincy, and Hull have leveraged $91,500 in small grants from Save the Harbor with $278,500 in cash and in-kind donations from local government and small businesses for a grand total of $370,000 to support 100 free beach events and activities for everyone to enjoy. “I am impressed by the way that Save the Harbor / Save the Bay has leveraged the investments that the Boston Foundation has made over the years and has created a sustainable program that strengthens our waterfront neighborhoods and beachfront communities,” said Paul Grogan, Boston Foundation President and CEO. "It is an important asset to our city and the region as we look for new ways to put Boston Harbor to work for our community." Funds to support this year's grants came from the 1st Annual Spring Splash (AKA CUPID SPLASH!) cold-water plunge and pledge fundraiser held on public beaches from Nahant to Nantasket in April, with additional support from Save the Harbor's "Better Beaches Program" funding partners at The Boston Foundation, Comcast Massachusetts, the Department of Conservation & Recreation, Harpoon Brewery, JetBlue Airways, National Grid and the Harold Whitworth Pierce Charitable Trust. "More than 2000 JetBlue crewmembers call Boston home, and we are focused on giving back to the communities we serve through the support of great programs like Save the Harbor, Save the Bay," said Ronda Ivy-McLeod, Northeast regional marketing manager for JetBlue Airways. "We are lucky to have such a great harbor - and proud to support such a great cause." Thanks also to our 25th Anniversary partners at The Boston Foundation, The State Street Foundation, John Hancock, P&G Gillette, and Distragas of Massachusetts / GDF Suez for their generosity and support. In addition to the Better Beaches Program, Save the Harbor/Save the Bay also runs two free youth programs that combine recreation with hands on environmental education to bring the Harbor alive for the region’s youth. 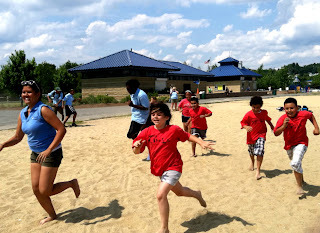 Since these programs began in 2002, Save the Harbor / Save the Bay has connected more than 50,000 youth and teens from more than 125 youth and community groups to Boston Harbor and the Boston Harbor Islands National Park. As part of the group's 25th Anniversary celebration, this year Save the Harbor will host 25 free boat trips to connect the region's youth to the Boston Harbor Islands. “We’re proud of what we’ve accomplished over the past 25 years, and especially proud of the difference our free youth programs have made to the kids of our city and the region,” said Bruce Berman, Director of Strategy for Save the Harbor / Save the Bay. "They are the corner-stone of our work to create the next generation of Boston Harbor stewards, by connecting communities to the Harbor we have worked so hard to restore and protect." Founded in 1986, Save the Harbor / Save the Bay is the region’s leading voice for clean water and the restoration and protection of Boston Harbor, the waterfront, our region's public beaches, the Boston Harbor Islands and the marine environment. This past year I have had the luxury to travel the world. I have studied and toured in London and Dublin. I drank wine and explored the waters of Venice and the Amalfi Coast in Italy. I lost myself in the beauty and romance of Paris seeing life through rose-tinted glasses, all the while perfecting my French accent. However, amongst all of my travels, there’s nothing I love more than coming back to my hometown of Boston. My first day as a communications intern at Save the Harbor / Save the Bay has presented new beginnings and challenges, but it also brings back some of my favorite old memories. Such as the serenity of the briny smell in the New England ocean air; the city’s reflections in the cool blue water and the excitement of the hustle and bustle of Bostonians enjoying the Boston Harbor. Our adventure out of the office to roam around Fish Pier on one of spring’s few sunny days puts into perspective what’s at the heart of our city: tradition, sense of community, and the ocean. This internship stimulates my need for new thrills and satisfies my desire to be a part of inspiring and bringing the community together to keep our waters and beaches clean. My first impression so far is that this will be my greatest adventure of all to keep alive the city’s traditions. Its days like today that we all share in a love for the water and I’m excited to be a part of that which is the core of the Save the Harbor / Save the Bay’s mission: To keep our waters clean so that we all can see life through “blue-tinted” glasses – here at the Boston Harbor. Boston’s Fish Pier in South Boston isn’t your average pier. It’s not a tourist destination, like Santa Monica Pier. And it’s not a small-town, wooden dock to go fly fishing on. While there doesn’t seem to be much action, a closer look reveals the Fish Pier is a busy, industrial center. A walk around the apron shows men working to pull in their catch from medium-sized ships. The Fish Pier is also teeming with marine life. While is difficult to see past the depth of a meter, schools of small fishes dart back and forth to the current in the water below. Various mollusks line the edge of the pier and ships. Seagulls are noticeably larger here than other places, due to the easily found scraps from the fishing boats. As a part of the larger Port of Boston, the Fish Pier holds a special significance as the oldest fish pier still in use in the United States. This label is not especially evident, however, as the pier is not specially marked with signs and plaques. Despite the lack of recognition, the Fish Pier continues to provide for the fishing and maritime industries that have been using the port since it opened in 1915. If you’re looking for an oasis in the city of Boston, look no further than Spectacle Island. A short thirty minute ferry ride from Long Wharf will take you out of the busy urban life and onto the serene shores and sand with a view of the Boston skyline miles away. Our first impression of Spectacle Island was the Visitor’s Center, which currently displays a rainbow of marbles, plates, and sea glass that have been found on the beach: red, orange, white, and many shades of blue and green. Just outside the Visitor’s Center, we found a few pieces of artwork that others created from glass pieces they found, including a tree and a giant soft drink cup. At 2:30, Park Ranger Cass came over to briefly show us around the island and teach us about its history. From the 1920s to the 1950s, Spectacle Island was a dumping ground for the city’s trash. You can actually determine how old some of the sea glass is, especially if you find the broken pieces from old milk bottles that have the years printed on the bottom. These white pieces are some of the most common pieces that visitors find on the sand. The other common colors you’ll find are brown and green – the broken pieces of old beer bottles. However, you’ll rarely see a red, orange or purple piece of glass. Other interesting artifacts you can find on the beach are pieces of porcelain from plates or cups. Scraps of metal are present, but rare because they oxidize and become brittle. We asked Ranger Cass what gave him the idea to create a free event that allows visitors to make mosaics from the pieces they find on the beach. “We have all of this cool stuff here,” he said, “Why not make something out if it?” He further explained that visitors are not allowed to take any of the sea glass home with them. Everything on the beach is a cultural or natural resource – Ranger Cass and the other rangers want people to appreciate it and leave it behind for others to enjoy, similar to any other national park. “It’s the ultimate irony,” Ranger Cass explained, “that people are trying to take the trash and my job is to stop them.” These “sea glass poachers” as Ranger Cass called them would leave an empty beach behind if they were allowed to take the glass home with them. We saw a lot of potential for Spectacle Island to grow as visitor’s and tourist’s spot. There is a swimming beach open and the rangers hope to have lifeguards soon. Although the landfill closed in 1959, the island was not clean enough to open as a park until 2006. They say one man’s trash is another man’s treasure – and we see Spectacle Island as the ultimate example of creating treasure from the trash.